- NASM certified personal trainer - CES (corrective exercise specialist) - PES (Performance Enhancement Specialist) - Precision Nutrition Certified Coach. Training hard and training smart is only part of the solution. Having someone next to you that know exactly how to get to the finish line it makes all the difference in the world. 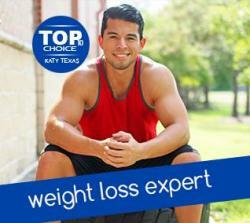 Experience - 10+ years in the fitness industry and multiple certifications. - Over-all Men's Physique winner in the 2011 Texas State Championships. - National level competitor. - Featured in "BodyBeast" by Beachbody,LLC (workout series) production. - Worked with a chiropractor & physical therapist on sport injuries - Published and featured with Mostmuscular.com, Bodybuilding.com, Muscle & strength, NPConline.com to just name a few. - Appeared on "Univision channel 45" a few times giving fitness tips for a Spanish morning show like "Wake Up America." - Worked side by side with clinical dietitians that handle worse case scenarios at a hospital in Houston. (learned so much) **Update: Currently negotiating with RED BULL to be a sponsored athlete to compete again. I had trouble with my weight growing up as a kid into my high school years. It was a struggle because my weight fluctuated so much even though I play 3 different sports. One day I made a decision to make some lifestyle changes. I work hard and studied exercise science and sports nutrition. Finally reaching my goal in just a few months. Endless hours at the gym is not the answer, trust me. It didn't work for me. It finally worked when I started to train smarter, using science to back it up. Now, my passion is to help others reach their goals and so they can feel as good as I do.